Last week, MLB announced it annual awards for rookie of the year, manager of the year, Cy Young, and MVP. So here I am to yell about all of them. I think he got it just because he pitches and hits. Big deal. Dude had Tommy John because it’s not humanly possible to do both for a long period of time. He had 10 pitching appearances and 20 home runs. And he’s my age: 24. Cool. NL Rookie of the Year: Ronald Acuna Jr.
Don’t really know much about him, but good for him. He’s even younger than me at 20 years old. Why are all of these children doing better than I am? (Granted, I have no athletic ability whatsoever.) I hope he continues to do well. The above messages were sent to Paul over at The Captain’s Speech, because he—for some reason—puts up with me and my sports yelling. I may have over-reacted, but I’m being an extremely biased Red Sox fan. Yeah, yeah, Bob Melvin has a really small payroll and the team had 97 wins, but this is the third time Melvin has gotten it. Cora, in his first season as a major league manager, led a team to 108 regular season wins. Yes, I’ll admit the Sox have a very large payroll, but it’s a historic amount of wins and the team won the World Series. I’m gonna be honest, I’ve never heard of him before. But good for him? The Braves were good this year, and Snitker is helping them rebuild. I think they’ve been the quiet underdogs for the last few seasons, and I could see them going far in the future. He was on my fantasy team this season and didn’t help me finish better than seventh out of nine teams. I had a feeling he was going to win, so I wasn’t surprised. He finished the season with 21 wins and a 1.89 ERA. And plays for the Rays. Hopefully he can keep it up next season. Also wasn’t surprised by this, but I was surprised by his haircut during the season. He looked like a completely different person. Apparently if you win only 10 games—because you play for the Mets who finished 77-85—and have an ERA of 1.70, you can win the Cy Young. deGrom definitely didn’t get runs support. 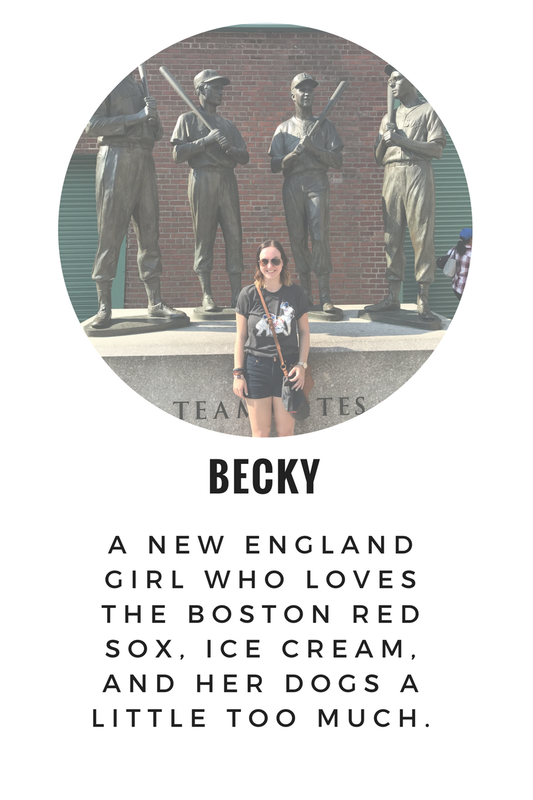 HERE I AM BEING AN EXTREMELY BIASED RED SOX FAN WHO IS EXTREMELY EXCITED THAT MOOKIE BETTS WON MVP. He 110% deserves it: .346 batting average, 47 doubles, five triples, 32 home runs, 80 RBIs, and 30 stolen bases. He won his third Gold Glove, a Silver Slugger, and the batting title. And became a father a few weeks ago. Dude’s got it going on. He looks like Pete Davidson. That’s really it. He got 29 out of 30 first place votes after playing his first season in Milwaukee after spending six seasons in Miami in that awfully tacky stadium—minus the home run machine now. (Thanks Derek Jeter, you bi-racial angel.) Additionally, Yelich won a batting title, batted .326 with 36 home runs and 110 RBIs. Basically all of the players I grew up watching. Bonds and Clemens are in their seventh year on the ballot and only have until 10 years to be voted in. So we’ll soon be having “the discussion” as the time for voting rolls around. Good stuff. I don’t understand why Bob Melvin won again either. Cora totally deserved it. He won 108 games! I think they do the voting before the postseason, right? So they may not have known about the World Series title but still. 1st year manager going .667? Ohtani, Betts, and Yelich deserved it. I’m partial to Max Scherzer winning the NL Cy Young. I think Craig Counsell deserved NL Manager of the Year. I believe Walker Buehler should have won NL Rookie. Maybe that is a stretch but why not? I’m not sure when they do the voting, but I think the post season should be taken into account if they vote after the season is over. Every time Walker Buehler pitched in the World Series, my mom kept going “Buehler… Buehler…” But yeah, definitely agree that Cora deserved manager of the year. Don’t know why I’m just seeing this now, but thanks for filling in the gaps for me on who won the awards. I had only heard about the MVPs and Managers. Also, talking maturely about sports is overrated. I enjoy the yelling/ranting aspect of being a fan. Yeah, I felt you were a little late to the party on seeing the post haha. My blog wouldn’t really exist if I didn’t also believe in yelling about sports. Although sometimes I feel like I’m just yelling into a void haha. Sorry to disappoint. I’m not that savvy to think of something like that.